There is no reason why you should know the name of Michael Shapiro. He is one of the missing people of East End history. Even his closest friends and colleagues knew little of his ultimate fate, and those still alive who remember him talk of him like a man lost at sea long ago. In the 1930s, however, he was one of the principal intellectuals of radical politics in the capital; a lecturer at the London School of Economics who gave unofficial legal advice to the Communist Party of Great Britain. He was a campaigner passionately dedicated to liberating his neighbours from the miseries of damp flats and exploitative landlords – the author of a crusading pamphlet, Heartbreak Homes: An Indictment of the National Government’s Housing Policy (1935). He was one of the leaders of the group of demonstrators who, in September 1940, invaded the air raid shelter of the Savoy hotel to protest about the poor protection for those who lived in the areas where the bombs were falling most thickly. After the war, he was propelled into local government and took office as a Communist councillor for Stepney. But then began his love affair with Mao Zedong’s China – an affair that brought him close to destruction and estranged him from the country of his birth. Owlish and prematurely bald, Michael Shapiro combined his devotion to theoretical Marxism with a passion for the quickstep, and once smuggled a ticketless girlfriend into a dance at St Pancras Town Hall by yanking her up through a window. 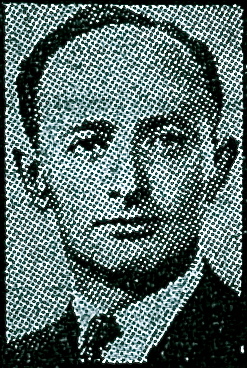 The state treated him with suspicion: during the war, MI5 took an interest in his activities – though by 1943, the Ministry of Labour made enquiries about employing him and his fellow East End radical Phil Piratin to write official propaganda material in a sphere “where their technical qualifications could be utilised and their views do less harm.” Two years later, they both had something better than the indulgence of Whitehall. They had power. In the summer of 1945, democracy returned to Britain. The General Election that brought Clement Attlee his landslide victory also gave the Savoy invaders cause to celebrate. Voters in the East End remembered how the Stepney Communists had campaigned for deep shelters; knew that fewer of their neighbours would have died in the fire and falling masonry if the National Government had listened to their demands. They handed out their reward at the ballot box. Twelve Communists took their seats on Stepney Borough Council. Among them were Michael Shapiro and the leading man of yesterday’s blog, Max Levitas. Phil Piratin was elected MP for Mile End. In 1950 Shapiro left England to work as an advisor to the state news agency in Peking. After his departure, few of his friends and family ever saw him again. In 1955 his name appeared in a Ministry of Defence report on the treatment of British Prisoners of War in North Korea. Two witnesses claimed to have encountered him as he toured the prison camps under the protection of the Chinese People’s Liberation Army. One, a sergeant in the Royal Ulster Rifles, alleged that Shapiro had threatened to have him executed by firing squad. The charge was never substantiated, but the damage was done. This zeal did not save him from suffering: the Chinese authorities rewarded his loyalty with five years of detention without trial. Shapiro was fortunate, however, in that he was rehabilitated without being killed first: when he died in 1986, Deng Xiaoping hailed him as “a staunch international soldier and sincere friend of the Chinese people.” In February 2010, I wrote to Michael’s brother, Jack, to request an interview. He died with the letter unopened on his kitchen table. At his funeral, tributes were offered by representatives of the governments of China and North Korea, and by the Communist Party of Great Britain (Marxist-Leninist), a minuscule group of die-hards of which he was Honorary President. At the time of writing, it is still possible to view Jack Shapiro on Youtube, denouncing Khrushchev’s revisionism. His brother Michael has his memorial, too – a journalism prize given to promising young reporters in Beijing. Perhaps the time will come when one of them will feel able to write an honest biography of the man after whom the award is named. 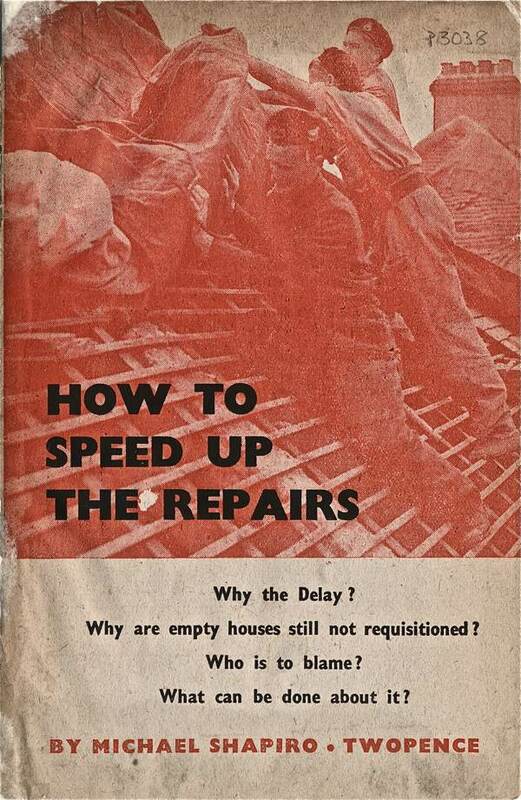 A pamphlet written by Michael Shapiro while a councillor for Stepney. Michael Shapiro’s brother Jack (1907-2010) eulogises China in 2008. I read this article with interest, for although I was aware of Michael Shapiro’s early activities in the East End I knew next to nothing about his later life. The article does not mention radical group The Architects and Technician’s Organisation (ATO) of which he was a member and which is covered in some detail in my biography of the Russian architect Berthold Lubetkin – through whom I originally heard of Shapiro. (Ref. “Berthold Lubetkin – Architecture and the traditionof progress”, RIBA Publications, 1992, pp262 ff.) The ATO was deeply involved in the social and political struggles of the ‘thirties in relation to the housing problem and the practice’s of exploitative landlords. Incidentally Shapiro’s first wife Eileen Murray was secretary in Lubetkin’s architectural practice, Tecton, and is pictured on p.111 of my book. Being able to access this piece and learn more of Michael Shapiro’s inspirational life and work is surely the Internet at its best, and a reassurance that he is emphatically NOT forgotten by history. What source was used for this article? I’m interested in Michael Shapiro and have found almost no decent academic sources, memoirs or biographies of him outside of a few internet articles. I’l also look up the paper Neil Redfern mentions above.